It definitely pays to understand the quality of the parts you are putting in your car. If you think about it, auto manufacturers go to great lengths to insure the cars they build have as few issues as possible, as those problems many times result in warranty claims. We know the Japanese have been famous for their attention to quality and I’ll give you an example. I replaced the water pump on my 1997 Sebring convertible at the same time I replaced the timing belt, even though the original water pump was fine. This was at about 107K miles and 8 years (9/29/05). Well, about 6 years later and < 40K miles (this is no longer my daily driver), the weep hole started weeping on the replacement, indicating the shaft seal is likely leaking on the water pump. The replacement pump was only the front half of the pump and was procured at NAPA. 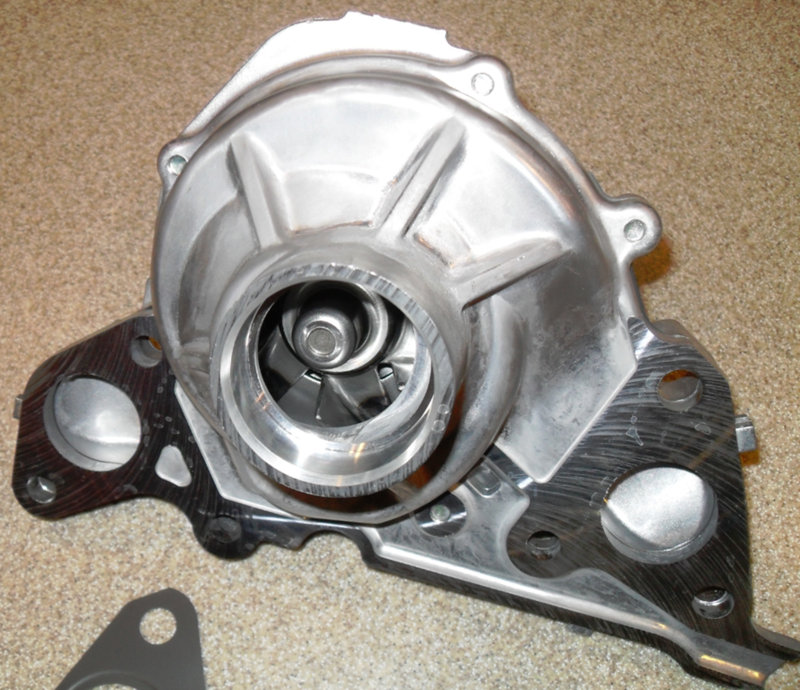 This is the standard way that most water pumps for the Sebring are purchased, unless you buy a dealer pump. In the case of the dealer pump, you get the whole thing. But oh my, the cost! Here’s the $$. My replacement Napa water pump cost $79.44 in September 2005. My replacement is a Paraut water pump and was purchased online at PartsGeek.com for $123.95. Paraut appears to be one of the OEM suppliers to Mitsubishi (source of the 2.5 liter engine). The other supplier is AISIN. 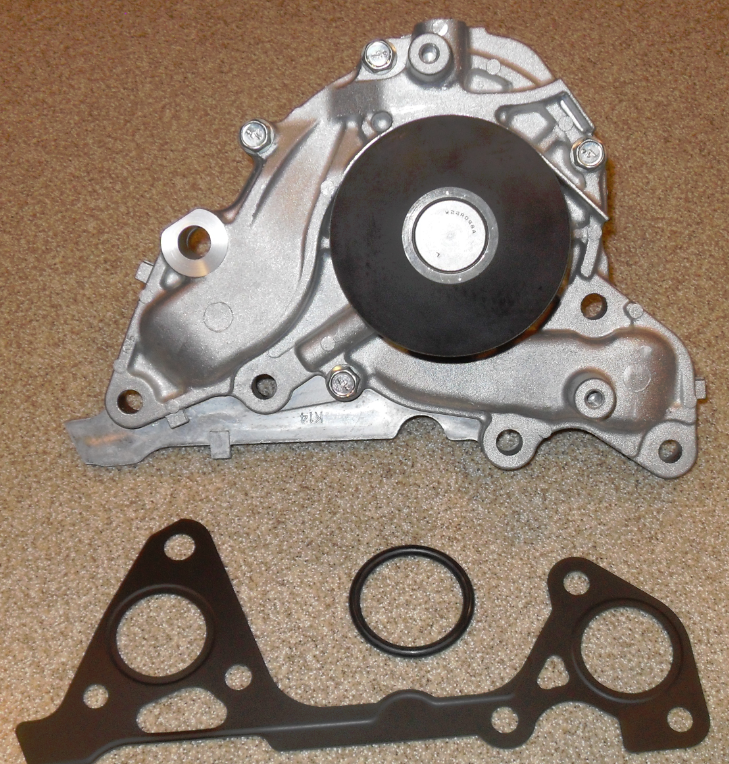 Both supply the same water pump under part number W0133-1614345 (MD 978743). So, for $123.95 – $79.44 = $44.51 I could’ve avoided doing this again, or perhaps used the pump I removed and worried about it later. Oh, by the way, I ordered the pump on Monday and it arrived on Wednesday. It shipped from Plano Parkway in Plano, Texas, about 5 miles from my house! I’ve had my car apart for the last 3+ weeks (only working on it on the weekends) and had a heck of a time getting the old pump off the inlet tube (pushes over an o-ring on the inlet tube that was majorly stuck). Overall, the job is a big job. I’d say for me, only doing this every 6 or 8 years, takes me 10-15 hours, plus all my parts procurement time. The $44.51 would’ve been money well spent, don’t ‘cha think? Here’s what a real water pump looks like! Notice it comes with the o-ring for the inlet tube and a real metal gasket. Just look at all the lovely machined aluminum. This is the back side of the pump housing that is not normally supplied on most aftermarket pumps. Take it from me, spend the money! 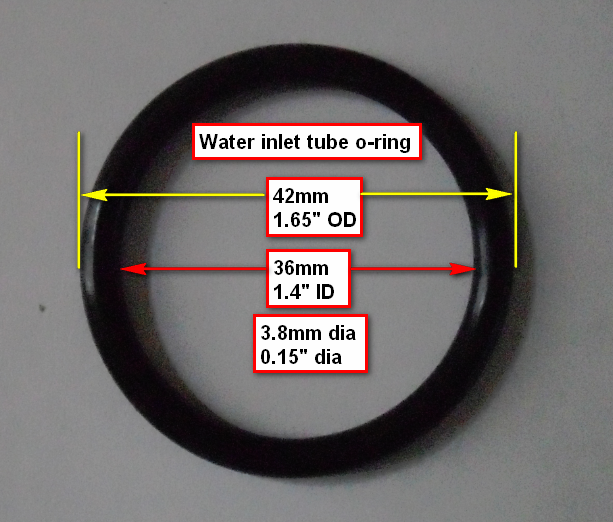 Here are some measurements of the o-ring that fits on the inlet tube. They don’t quite add up, but you get the idea. This entry was posted on February 23, 2012 at 1:24 am	and is filed under Auto Repair. You can follow any responses to this entry through the RSS 2.0 feed. You can leave a response, or trackback from your own site.